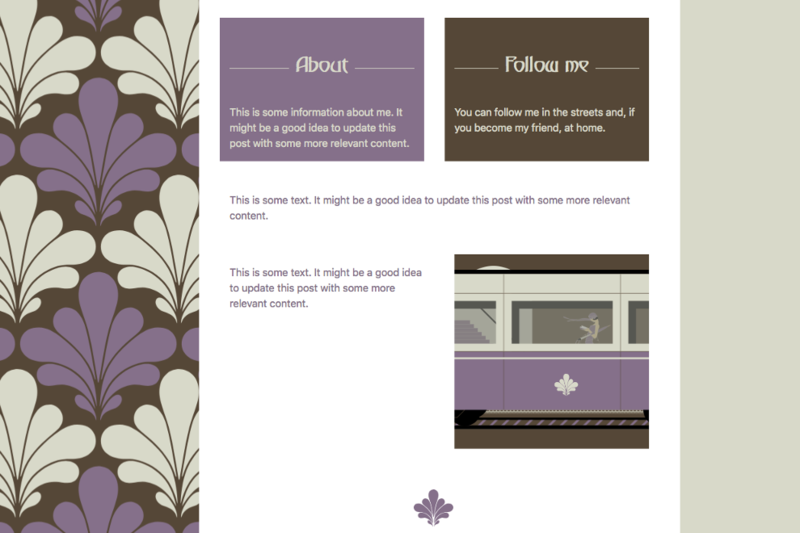 There is no DEMO available for this theme but you can look at my own website or my Etsy shop to get a feel for the type of websites I design. 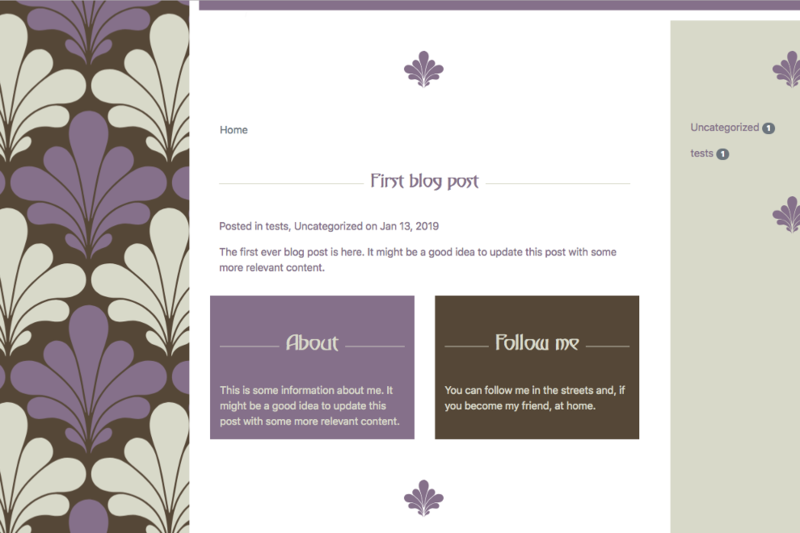 This theme is designed to work for blogs and websites that do not have relevant photos to make their content stand out and want to feature illustrations instead. The stylish Art Nouveau (1890-1920) design is inspired by natural forms and curved lines and includes a collection of artwork that will give your website a bespoke look and feel. The website's default header contains an animated vector animation of a man and a woman standing next to the entrance to the metro (underground) as the wind blows the autumn leaves across your screen. The ribbons on the woman's hat are animated. So are her skirt and the leaves. The background consists of an Art Nouveau flower texture. The same flower is used as a divider throughout the site. You can also use animated vector illustrations throughout the site. As you scroll down, these animated vector illustrations feature elements of the metro that you can use to illustrate your story. For example, as you scroll down you descend onto the platform below where trains pass the station and the woman waits for her connection. All colors can be changed in the configuration page of the theme. Optional header, footer, sidebar (left or right) are also available as well as partials and snippets for the popular RainLab.Blog en RainLab.Pages plugins. Plugins can extend these features. 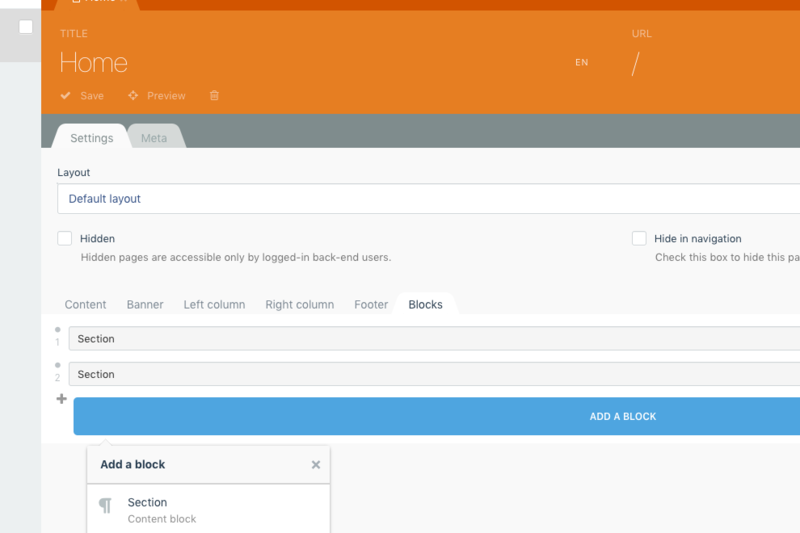 Either by adding blocks to the Page Builder or by adding snippets. Steampunk is a subgenre of science fiction that incorporates technology and design inspired by 19th-century industrial steam-powered machinery. Steampunk works are often set in an alternative history of the 19th century's British Victorian era (1837-1901) or American "Wild West" (1865-1900), in a future during which steam power has maintained mainstream usage, or in a fantasy world that similarly employs steam power. I am currently adding some fun optional "Steampunk" elements to this design that you can use as illustrations throughout the site. These will be made available in a paid plugin. Did you know that 30% of your purchase goes to help fund the October Project? If you purchase this theme, you help me to develop it further, provide support for it or make new themes. Hello, I am Wiego Bergsma. Please start by reading the whole documentation! If you have any questions, find a bug or experience difficulties getting the plugin to work please use the Support Forum for the plugin. Only leave a Review if you are happy with the plugin or are still unhappy with the plugin after reaching out to me in the Support Forum for the plugin. Thank you! 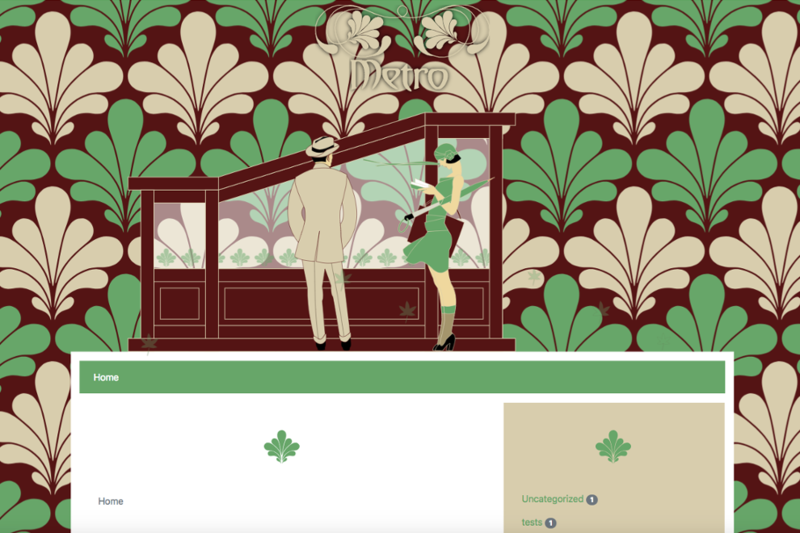 Add briddle.art-nouveau to a project and attach it to your website. Go to Settings > CMS > Front-end theme > Customize to configure the theme. You can add text and/or snippets to either the main content, the left column, the right column, the header or the footer. These will automagically become visible if you add content to them. You can also use the Page Builder. The Page Builder is essentially a repeater field in the Static Pages plugin from RainLab that allows you to add mobile-friendly content blocks to your page. For this theme, content blocks can either span the entire available width or be placed alongside each other and behave like columns. You can also optionally add snippets with animated vector illustrations to content blocks (this will add an additional content block with the contents of the snippet). 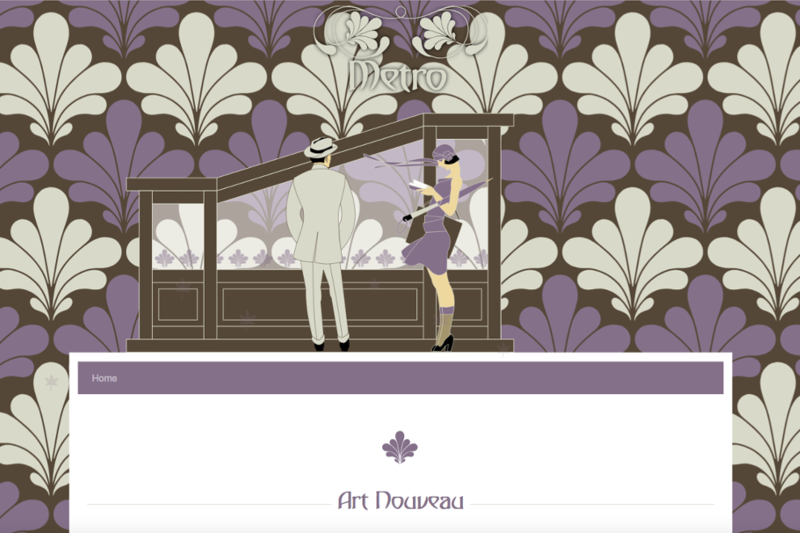 If you are a web designer or web developer this theme gives you a head start in developing a bespoke Art Nouveau theme for your client. Please use the Support Forum (on the left side of the page) or send me a private message. Do not use reviews to ask for support.